4th of July Hours & 20% Off Coupon This Friday 7/4/14! Happy 4th of July, Third Eye Faithful! 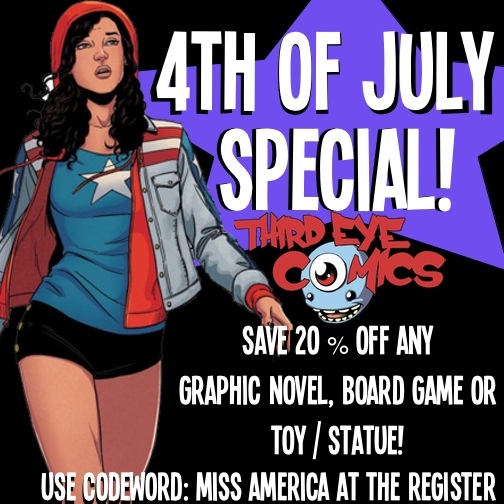 We’ve got a very special 4th of July sale for you guys this Friday, so you have the perfect excuse to escape the inlaws for a bit, ditch the sun screen, and stock up on a big stack of graphic novels and other fun stuff! So, in celebration of our founding fathers telling those stuffy Kings and Queens back in the UK to take a hike, pop on by Third Eye this Fourth of July, and treat yourself to something fun! Get a FREE Third Eye Sticker ALL Day This 4th of July With Any Purchase! 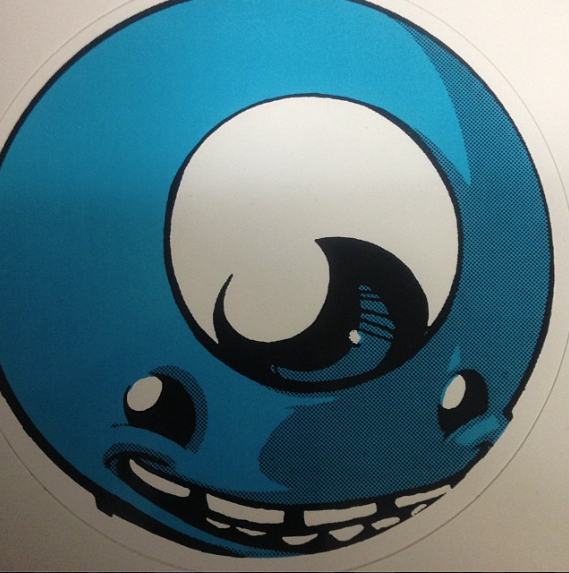 We’ve also got another treat for you guys — FREE giant Third Eye Stickers with every purchase, while supplies last! I gotta tell ya: nothing makes our days more than seeing those big blue smiling faces on the back of your rides, Third Eye Faithful. These often go fast, and we’ve been getting a lot of requests for a new batch — so, here you go! Make sure you score one this Friday, and then snap a picture of where you put it and share it with us on Facebook and Instagram. We’re going to be giving out the full-size Third Eye stickers all day this Friday, so you can show off your own Third Eye Pride!